The term “Numis-Alphabet” comes from the word numismatic (the study of coins and currency). 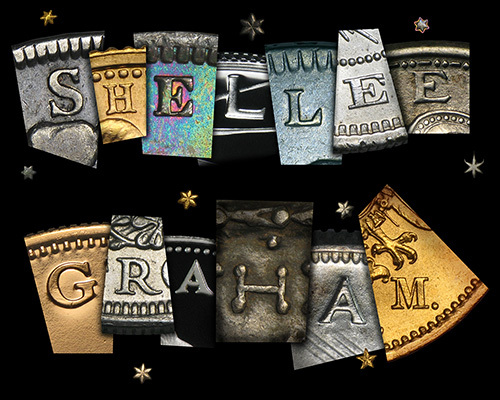 The Numis-Alphabet is my own creation, and consists of individual LETTERS from various coins, bullion bars and currency. 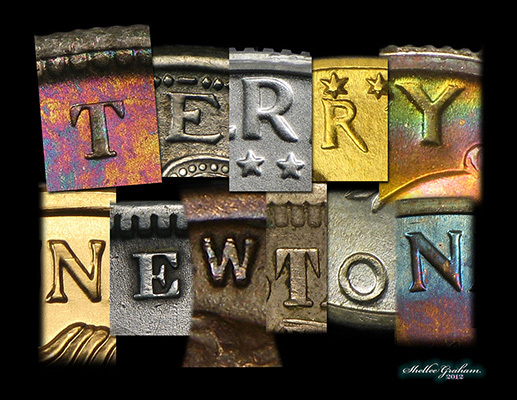 It is an alphabet that continues to grow as variations of numismatic lettering fonts are added. 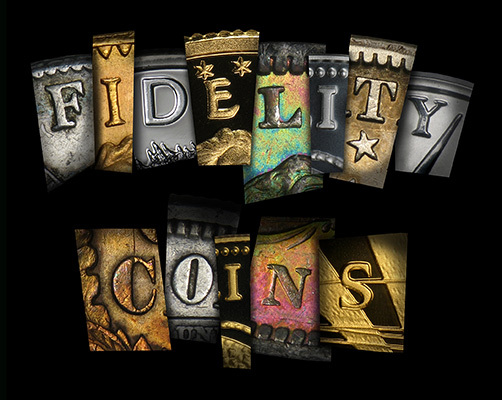 With thousands of coins from all over the world that date to ancient times, the possibilities are endless. 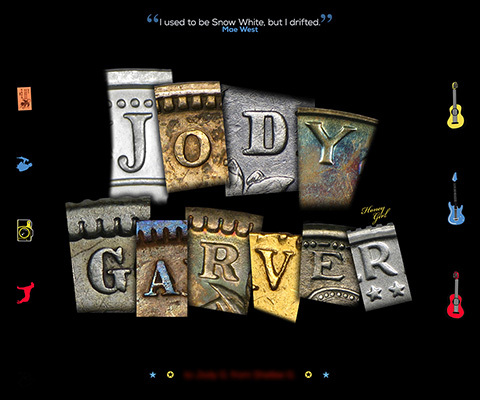 The Numis-Alphabet is used to create unique designs for an individual's name, a favorite quote, and the like. Each piece of one-of-a-kind Numis-Alphabet artwork is tailored to the needs of the client and when completed is output as a canvas print mounted on stretcher boards and ready to display, just like a painting. 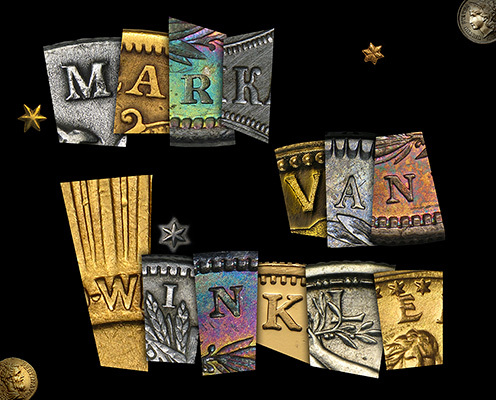 Each custom Numis-Alphabet piece created, whether it features the client's name, quote, or other phrase, comes with a Certificate of Authenticity that details the numismatic origin of each letter, star, ampersand, or other symbol used. They can even come from favorite coins in the client's own collection. Letters can be a mix of silver, gold, platinum, bronze, palladium, or even rare-colored metals like niobium (these can be blue, green, purple, etc.). For a reasonable quote, please contact me via email at shellee66@earthlink.net and let's talk about creating a unique piece of artwork for you or for someone else as a gift.